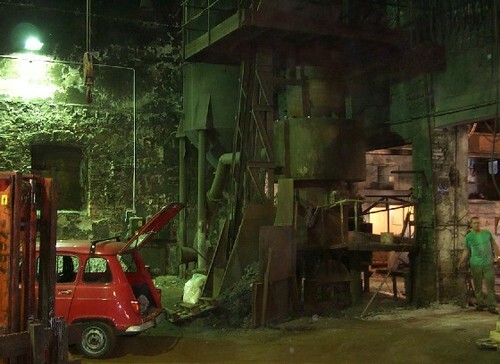 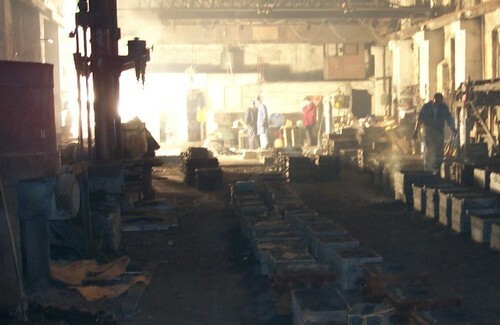 Foundry facility has about 2.500 sqm area. 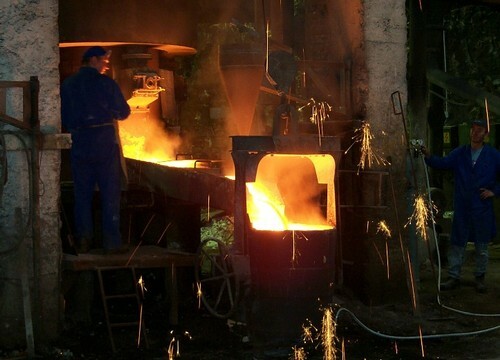 We're using sand casting technology for casting cast iron, bronze and alluminium. 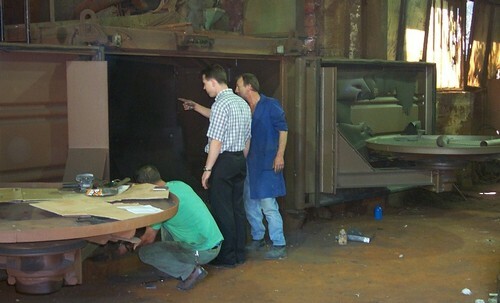 We're using both manual forming and machine forming. 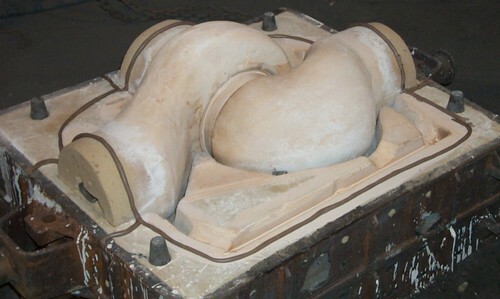 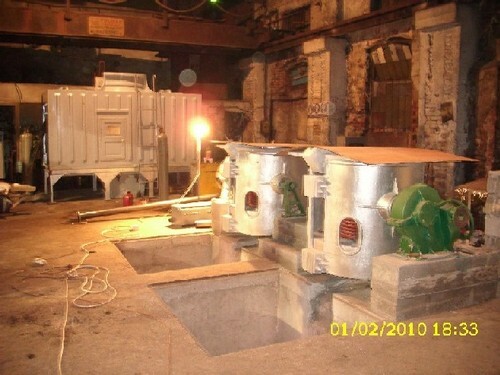 Short description of sand castings is at right in photo gallery. 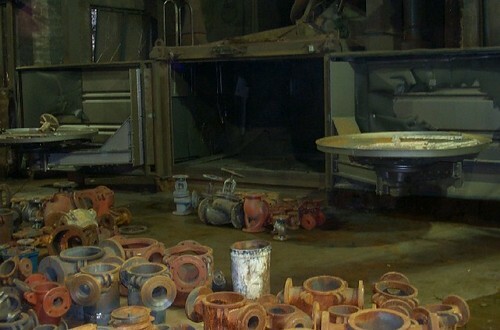 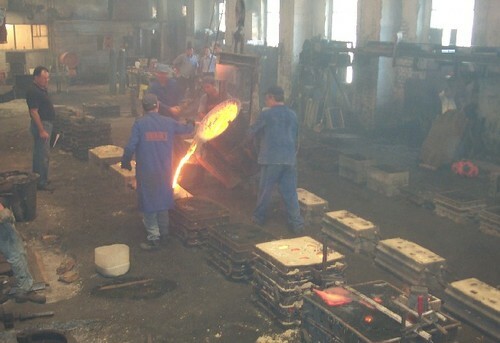 Die casting requires expensive moulds and dies, so it is used for higher quantyties of castings, only. 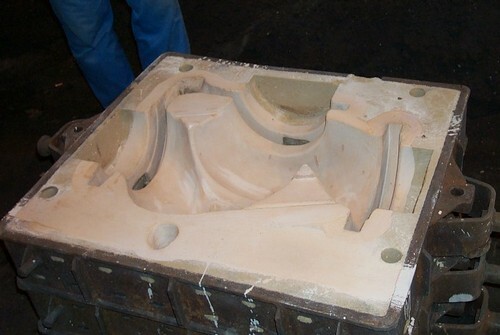 Our market advantage is that we have our own moulds and dies tools-shop, so we can produce necessary moulds and dies "in house". 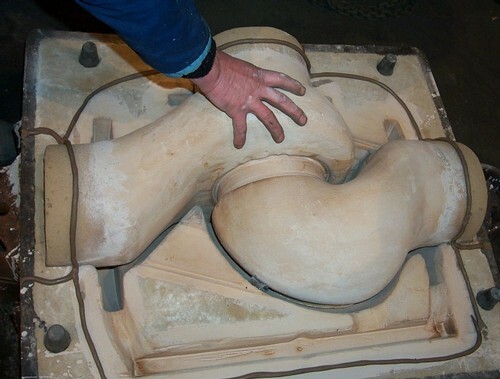 We're using modern CAD-CAM software and CNC machining centers for this purpose. 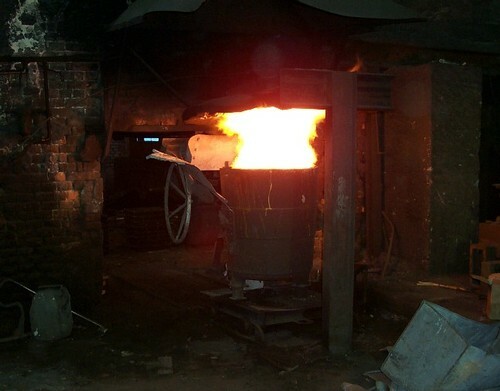 We are casting cast and nodular cast iron from cupola furnace for larger pieces (up to 1 t btto), and induction mid-frequency furnaces for smaller pieces (up to 500 kg btto). 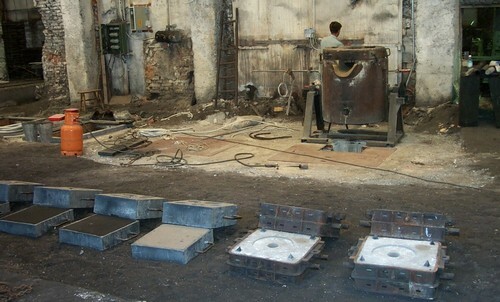 We are producing all types of cast iron (GG-20, GG-25, GG-30) and nodular cast iron (GGG-40, GGG-50, GGG-60). 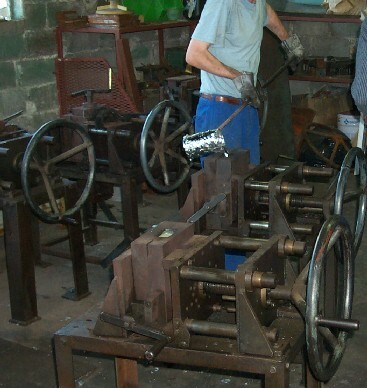 Those qualities are covered in European standards as well. 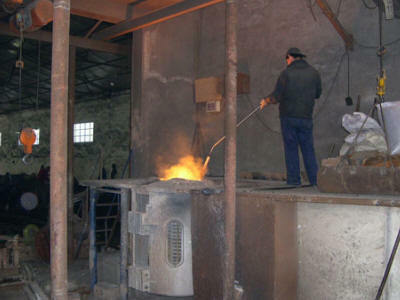 Feel free to see separate sheet about material characteristics. 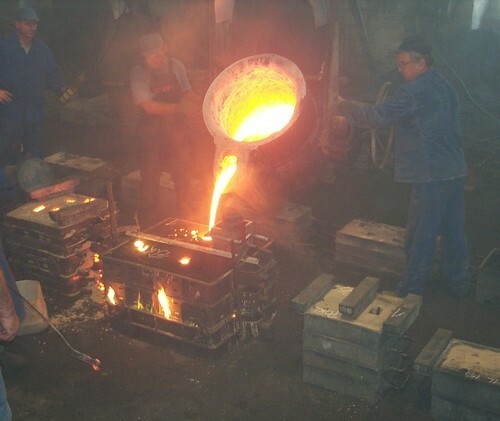 We can produce castings of up to 1 T btto weight (which gives about 600-700 kg netto weight). 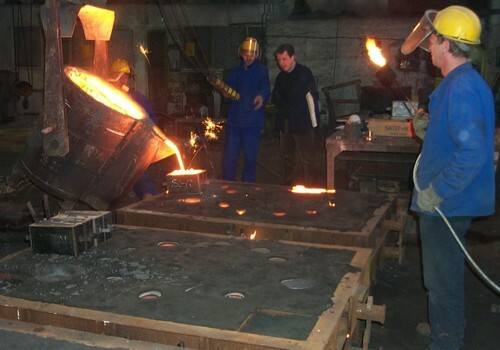 Technology of casting we use is sand-casting. 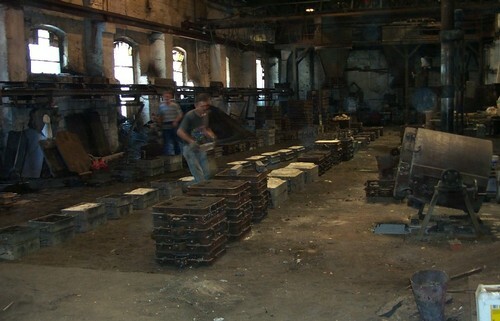 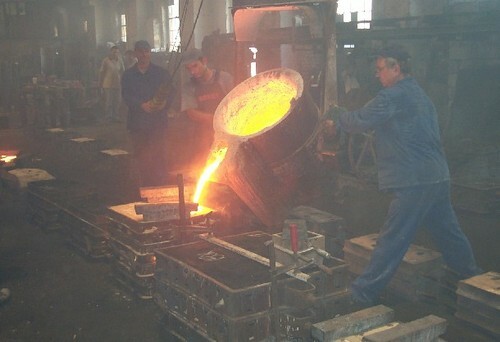 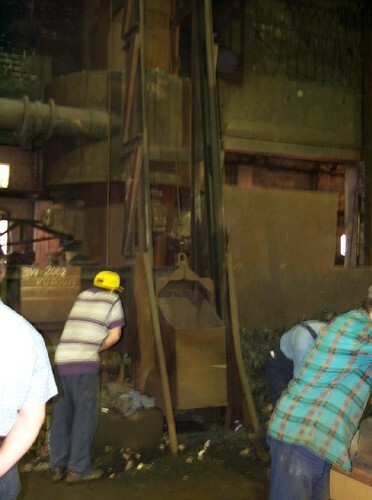 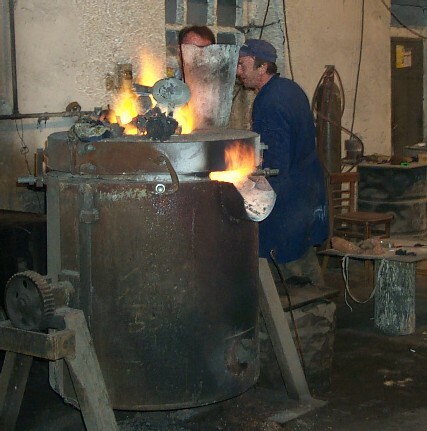 The procedure of casting is explained at right, in photo gallery. 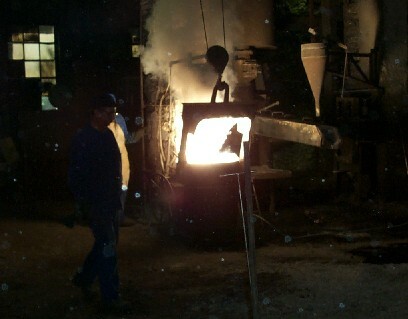 We are melting cast steel and stainless steel from induction mid-frequency melting furnaces. 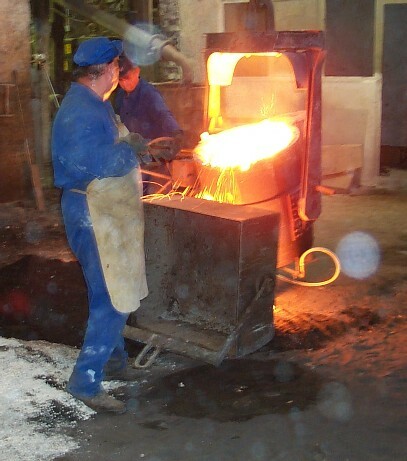 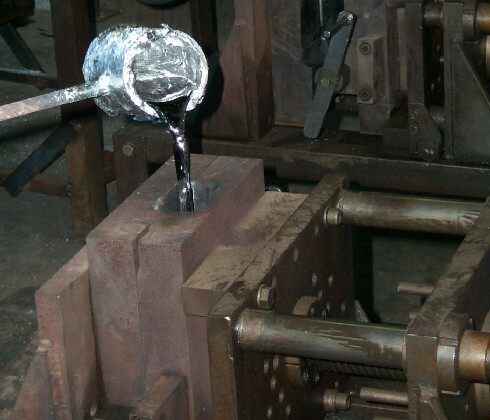 Thermal treatment of castings is processed in electrical heat-treatment furnace. 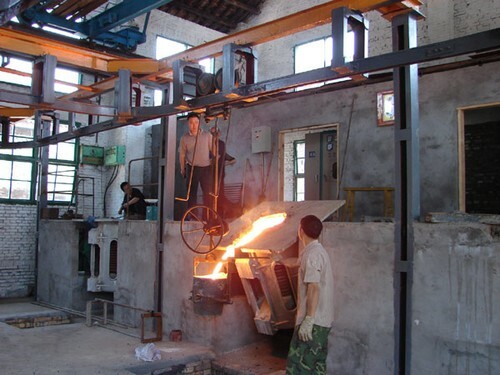 We are producing a wide range of steel castings - carbon steel, low-alloy steel, stainless steel, etc. 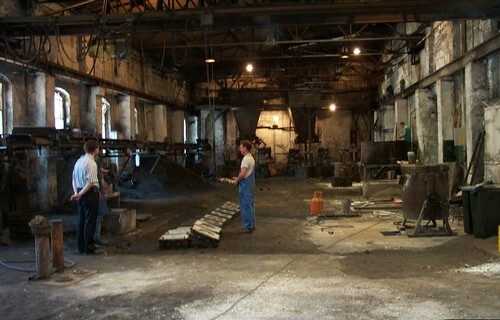 Feel free to see a separate sheet about types of steel we can produce. 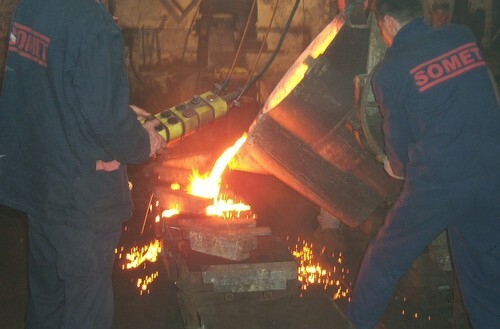 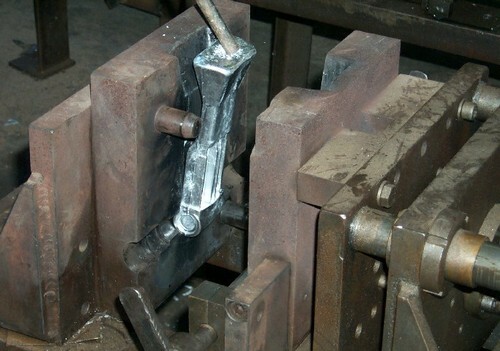 We can produce castings of up to 500 kg btto weight (which gives about 250 kg netto weight). 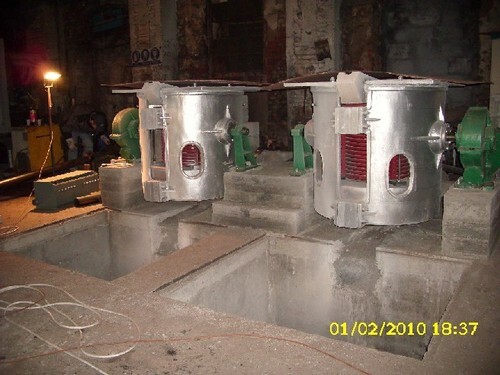 Technology for moulding we use is sand-casting, machine and manual. 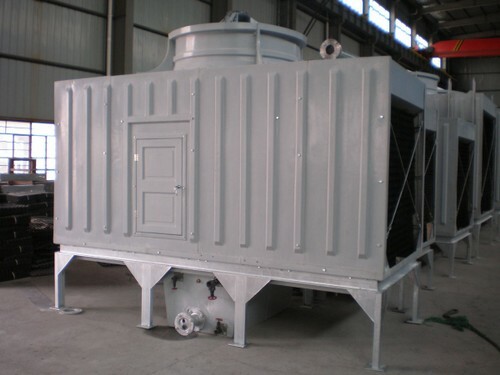 Cores are produced in cold-box technology (CO2) or hot-box technology (on Shalco core blower machine).